Gift Bricks® has been serving engraved brick & tile fundraising since 1983 and is happy to help your throughout your project - starting now. We understand that this may all be very new for you, and that you may be unsure of some of the aspects of your fundraiser. The following suggestions are helpful answers to common questions. Again, if you have any questions, please don't hesitate to call us. What is a "multi-tiered" method of donor recognition? Gift Bricks® recommends to offer a minimum of two brick sizes (and price levels) for donor purchases. That way, those who wish to donate larger amounts, particularly companies, can easily do so, while those with less to spend can find something within their budget. It's just as easy to offer multiple options, and the effect on your fundraising success can be striking. Which typestyle (font) is the most popular? Gift Bricks® recommends Helvetica Light with upper & lowercase lettering as a nice clean-sharp font. Over 75% of Gift Bricks® use this typestyle. The other popular fonts include the following: Avant Garde, Palatino New, Universe and Vermarco. Please call our graphics department if you have another typestyle in mind. They will be happy to assist you. How many letters are recommended for engraving on each line? The most popular choice is 3 lines with 14 letters (Upper / Lowercase) per line. Also popular is the 3 lines with 20 characters per line (UPPERCASE letters only). The Gift Bricks® sales staff can help you when choosing your font. This is very important when choosing a typestyle that has special characters, ie. Hebrew or a variety of symbols. Which bricks / tiles should we order? 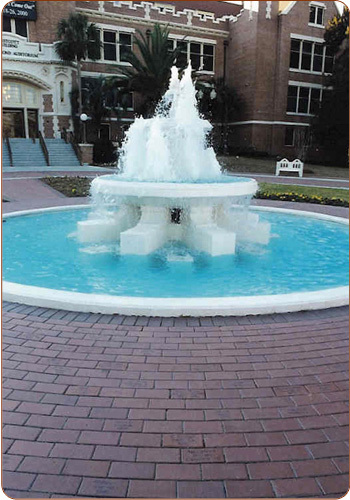 Gift Bricks® offers a large variety of clay, concrete or granite bricks/pavers. Through our color charts we can help you narrow down your selection. Once chosen we will be happy to provide you with samples for your display. When selecting a brick / paver from your local area - please call to confirm that the brick you've chosen is readily available from our local distributors. If necessary, Gift Bricks® will work with you to get the blanks needed for engraving from your location to ours. How long should we keep the fundraiser going? You'll get the most fundraising dollars by keeping your project timeline open. Many customers will have an initial close date for the first phase. With their first order they will order blanks as fill ins and for future sales. This method gives you a means to maximize your return for the paved area with future sales dollars that would have otherwise been missed. Once people see your engraved Gift Bricks® installed they too will want to become part of it. Should our brick / tile project be indoor or outdoor? Gift Bricks® has a large variety of bricks or tiles that will work with either indoors or outdoors. While bricks are the most practical for outdoor applications, our thin brick tiles are great for either. Thin brick tiles come in a variety of colors including our engraved ceramic glazed tiles or pastel & natural colored porcelain tiles. How to market your engraved brick / tile program? 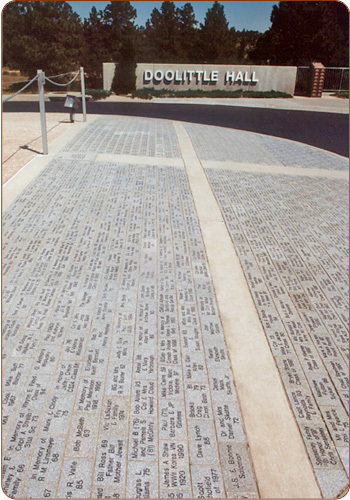 When you choose Gift Bricks®, you receive the expertise of over 27+ years of successful engraved donor brick & tile programs from hundreds of organizations. Gift Bricks® can help you design brochures or flyers, set up a web presence, and develop a simple system for assembling your donor orders. Whatever the need, Gift Bricks® has the knowledge to help you. Call us and our professional Gift Bricks® staff will be happy to assist you. You can call us toll free at 1-800-537-5579 in the USA or 1-262-886-0727 Worldwide. We look forward to working with you soon!